The Third Generation Black Diamond Rackmount (BDR-3) measurement and monitoring system collects data from precisely synchronized analog channels and processes the data with advanced state-of-the-art Field Programmable Gate Array (FPGA) technology. It connects to a real-time Key Value Store (KVS) and to AlgoCentral cloud to provide real-time data analytics, processing, and graphing. Available analog sensors: Acceleration, tilt, mass-flow, optical, piezo, temperature, torque, chemical, electric current, electric potential, magnetic, moisture, humidity, fluid velocity, position, angle, strain, speed, pressure, force, density, fluid level, proximity. 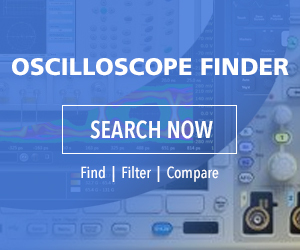 New features: Digital signal processing with 10th order reconfigurable filtering using Xilinx Zynq FPGA, redundant storage, 1U form factor, dual mode operation for Key Value Store (KVS) and stream recording. AlgoCentral Cloud Connectivity: Secure, real-time access to data for mining, charting, trend analysis, real-time analytics and alerting. The BDR-3 system is a candidate for monitoring the health and integrity of critical assets in connected cities, power generation systems (turbines, solar), communication systems, industrial automation, critical infrastructure (buildings, bridges, towers, piers, dams, pipelines, tunnels), and chemical processes and pipelines for oil and gas.